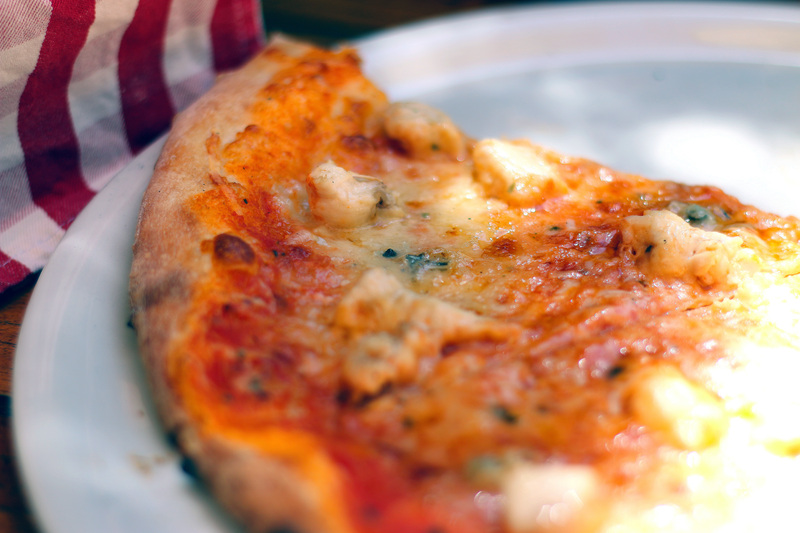 Most people eat a slice of pizza in one of two ways: you either pick it up straight and take a bite, or you fold it in half lengthwise for a little more support before eating. Regardless of how you eat your pizza, chances are you haven't given it that much thought. But it turns out your style of pizza-eating could actually be a sign of some serious mathematical know-how. As mathematician Clifford Stoll breaks it down in this video, pizza is best eaten by using the Gaussian curvature. A quick math lesson: Gaussian curvature is the reflection of two distinct curvatures. For example: a cylinder has zero curvature (because it's partially flat), while a sphere always has positive curvature. Depending on their shape, certain foods, like oranges, bananas, and bagels, also maintain curvature. But partially flat foods, like pizza, have zero curvature — which means they need to be bent to improve its rigidity. By folding a slice in half, you're therefore creating Gaussian curvature. Wow… who would've thought this much math could go into a simple slice of pizza? In any case, this basically just proves what we already knew: when it comes to eating pizza, folding a slice pre-bite is the only way to go.